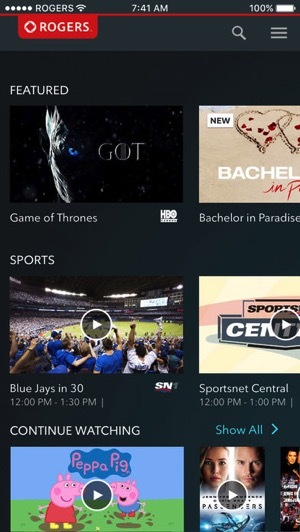 Rogers has announced Anyplace TV for iOS and the web has received a makeover, bringing a “new look and feel”, along with improved performance and stability, more live channels and a new channel guide. The new refresh is out for iPhone and iPad users, along with their website, which now has users login at rogersanyplacetv.com. The company explains in an email there are over 100 new channels available on the go, to let you watch On Demand right where you left off across all devices over Wi-Fi or cellular networks. 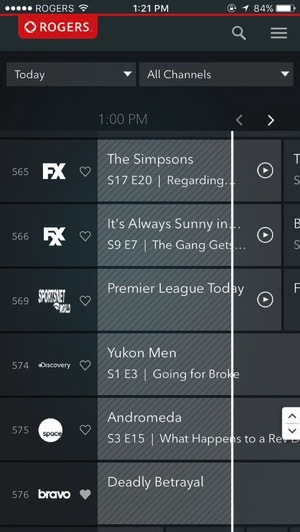 Rogers debuted a single Anyplace TV app back in 2013, unifying their former Anyplace TV Live and Anyplace TV Mobile apps. The service is included free as part of your Rogers Digital TV package, including Digital Starter packages (updated).